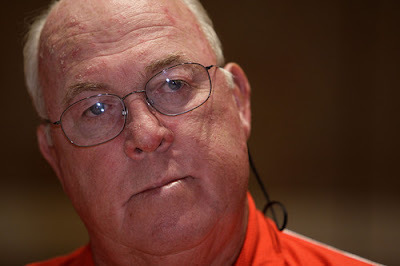 As an early Christmas present, the University of Maryland has asked their coach of ten years and the reigning ACC Coach of the Year, Ralph Friedge to retire or be terminated via a $2 million buyout of the final year on his contract. All just one week before the annual celebration of the birth of baby Jesus. The decision brings to an end Fridge's run at his alma mater where he recorded 31 victories in his first three years, bringing Maryland football to national prominence while taking his squad to seven bowl games. Sources close to the situation say the Terps are worried that if the Fridge coaches next year in a “lame duck” scenario recruiting will suffer for two years as both Friedgen and all his assistants plan their departures. If the Fridge refuses to retire, the school would have to pay him about $2 million to buy out the remaining year on his contract. Friedgen has not made a decision on whether to accept the buyout offer, one individual close to Friedgen said, and no deadline has been established for Friedgen to make a decision. 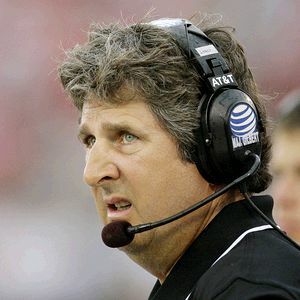 When Friedgen's departure is announced, former Texas Tech coach Mike Leach will immediately emerge as the clear front-runner to replace Friedgen. There is mutual interest between Leach and Maryland, according to three people, two of whom are close to Maryland and one of whom is close to Leach. Leach is best known for his abrasive personality, wide-open offense and, most recently, for locking a player in a shed before being forced out of Lubbock..
Leach is said to be interested in the job. 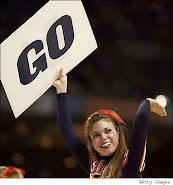 He has a strong relationship with Kevin Plank, a former Maryland football player who sits on the school's board of trustees and whose apparel company, Under Armour, is the outfitter for the school's athletic teams. Sources say Maryland has asked Friedgen to coach in the Military Bowl at RFK Stadium on Dec. 29. Anderson addressed the Maryland football team at a team meeting Friday night and several Terps asked the athletic director who is their head coach and Anderson responded that he did not know at that moment. Kevin Anderson is a classless goon..plain and simple. RF's teams wom more games in 10 years that they did under the previous 14. Sure, Leach is a hell if a coach, but why hire him when he's still suing Texas Tech? Locksley is a damn maniac. I guess Anderson wants to surround people with his mentality....or lack of it.